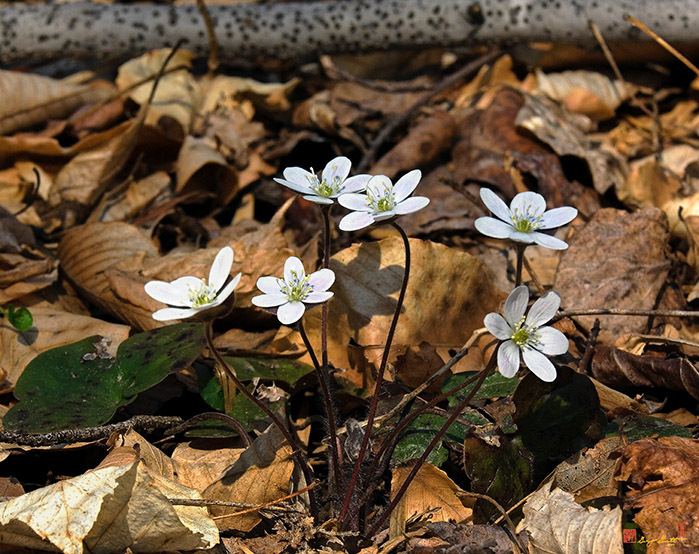 2006 Photograph, Round-lobed Hepatica-White flowers (Hepatica nobilis var. obtusa, (Hepatica americana, Hepatica triloba), Buttercup family, Ranunculaceae), Fairfax Villa Park, Fairfax, Virginia, © 2019. Nature Photography, Wildlife Photography, Waterfowl Photography and Bird Photography from Marsh, River, Field and Forest Habitats. All images Copyright © 1999 - by Gerry Gantt, all rights reserved.